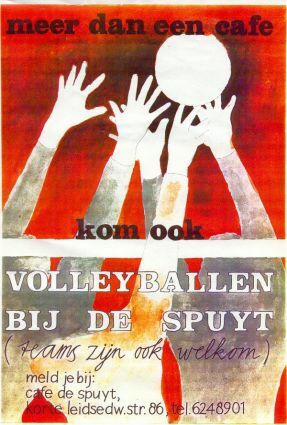 Already in 1983, a group of enthusiastic volleyball players was hanging out in Café’ De Spuyt. It was not yet a real club at that time, for long time it was just about playing together and have fun. But at a certain point this was not enough anymore: there was a need for real competition! Several players started playing in the official Nevobo competition. Others opted for recreational volleyball. The founders of De Spuyt had a small, well-organized association… small enough to be known to everyone.Originally, the founders wanted an association with a maximum of two competition teams while most members would play in a recreational manner. 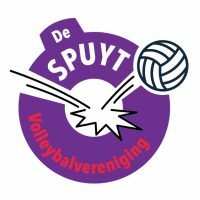 Nowadays De Spuyt is a medium-sized association, with 12 competition teams and more than hundred members who all enjoy playing and social time together after the games. The combination of sport club and own café certainly contributed to this successful growth. Only a few clubs in Amsterdam can state they have such a golden mix right in the center of the city. Does the average Spuyt member meet a certain profile?